Gray Wolf Garden Statue. When you see this life-size gray wolf sculpture show his teeth in your garden, it might just make you run for the hills! Legendary for their spine-tingling howl, the gray wolf is considered one of the animal world's most fearsome natural villains. 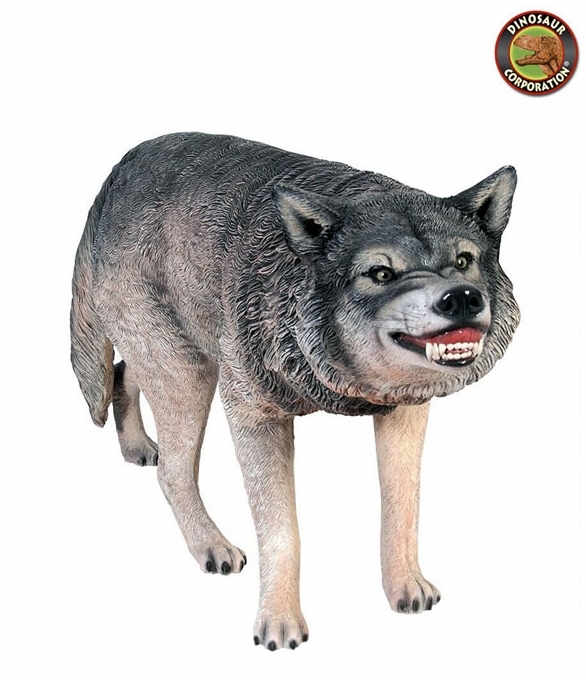 Since beauty is in the details, our amazingly realistic wilderness predator, is cast in quality fiberglass reinforced designer resin, and hand-painted to be the pride of his pack. * Size: 50�" W x 16�" D x 27" H.